Jess is a Canadian masters student at the University of Hohenheim, and has just completed her master's degree. Having grown up on a farm in rural Ontario, after completing her bachelor’s in Environmental Science her interest in sustainable agriculture came naturally. Paired with a passion for helping others and interest in rural development (and the fact she’d be ok with never seeing snow again), she decided to pursue a masters in agriculture in the tropics and subtropics, with a pointed interest in sustainable agriculture. She is currently searching for opportunities post-MSc and is super excited for the future. 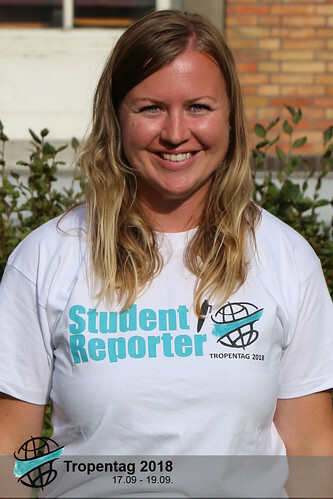 Jess is both the editor of the Tropentag 2018 team and a blogger, and is looking forward to collaborating with such a diverse and fun group of people to promote Tropentag to the world.